How do I accept cheque and bank transfer for ticket payments? Organizers can have their attendees pay by cheque or transfer the funds directly into their bank account. 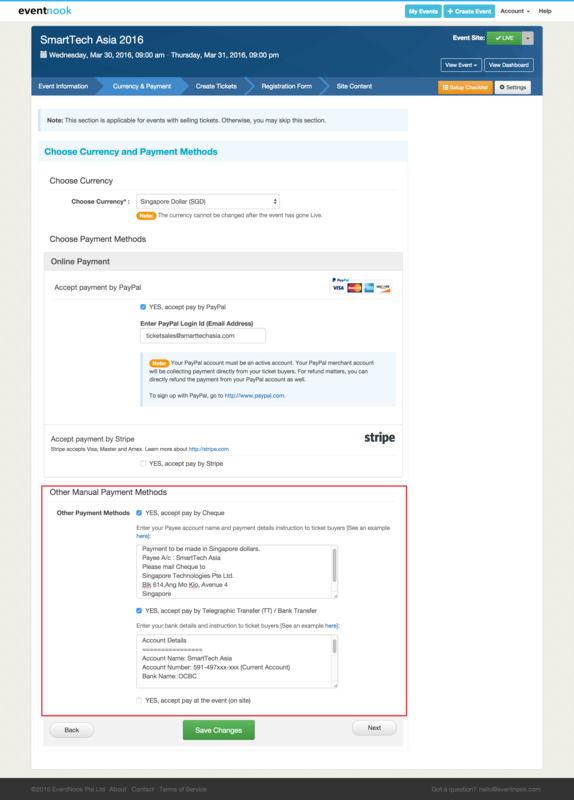 To accept payment with Cheque and Bank Transfer: When you create an event, you can choose Cheque, Bank Transfer payment option under Currency & Payment section as shown in the image below. Note: When attendees choose any mode of offline payment, their ticket status will be marked as “Pending”. The event organizer has to mark the status as “Completed” after the attendee has made the payment separately. For more information on this, click here.